The Communication Arts department’s annual festival brought together professionals, students and alumni. A scene from The Rite of Spring. Senior Performing Arts student Pascale Jallouf during her musical performance. Winners of the 50-Hour Film Competition pictured with Dr. Jad Melki and festival coordinator Awad Awad. 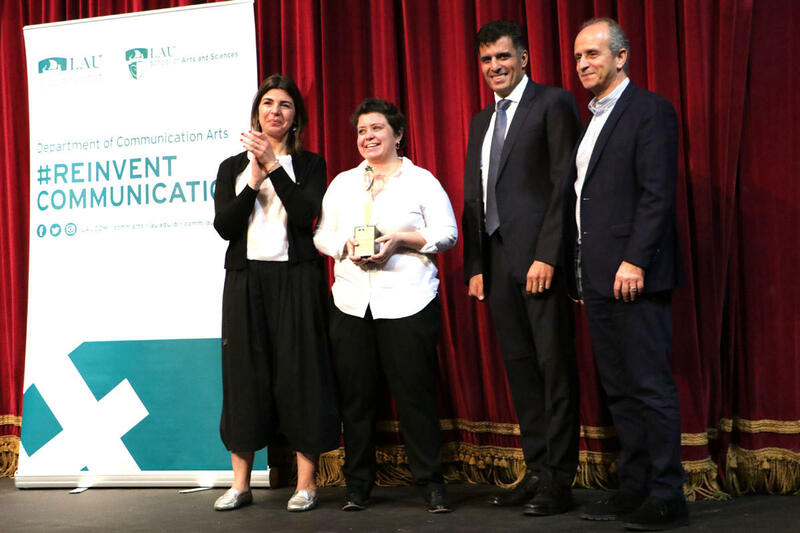 Dr. Maya Mikdashi receives the 2019 Communication Arts Alumni Award from Myriam Sfeir, Dr. Jad Melki (C), and Abdallah Al Khal (R). A small army of students, supported by the Communication Arts department, took over the Beirut campus for a blizzard of events as part of the annual Festival Next. 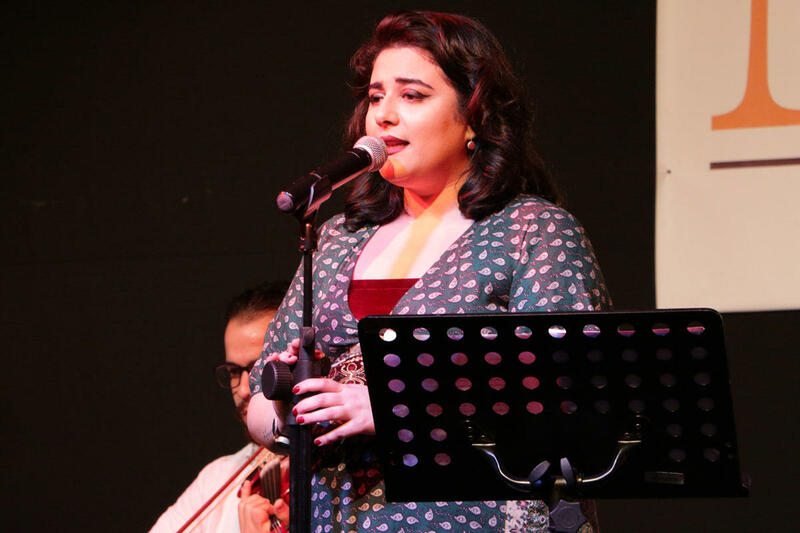 The five-day festival – an evolution of LAU’s Theater Festival launched in 1998 – included workshops, screenings and concerts, as well as events honoring Lebanon’s artistic greats and the Communication Arts department’s most accomplished alumni. Among the latter was alumna Maya Mikdashi (BA ’00), who was granted the 2019 Communication Arts Alumni Award. Dr. Mikdashi is assistant professor at the Department of Women and Gender Studies and a lecturer in Middle East studies at Rutgers University. She is also a filmmaker and writer and co-founding editor of the e-magazine Jadaliyya. Other festival highlights included alumna and former assistant professor of journalism Yasmine Dabbous (BA ’99), who shared her journey from journalism to becoming an accomplished jewelry designer, alumna Maria Elayan (BA ’16 ), who led a workshop on social media content, and Senior Music Instructor Joseph Khalife, who gave a captivating homage to the Rahbani Brothers. One of the major performances during the festival was a rerun of The Rite of Spring, a 1913 ballet by Russian Composer Igor Stravinsky. 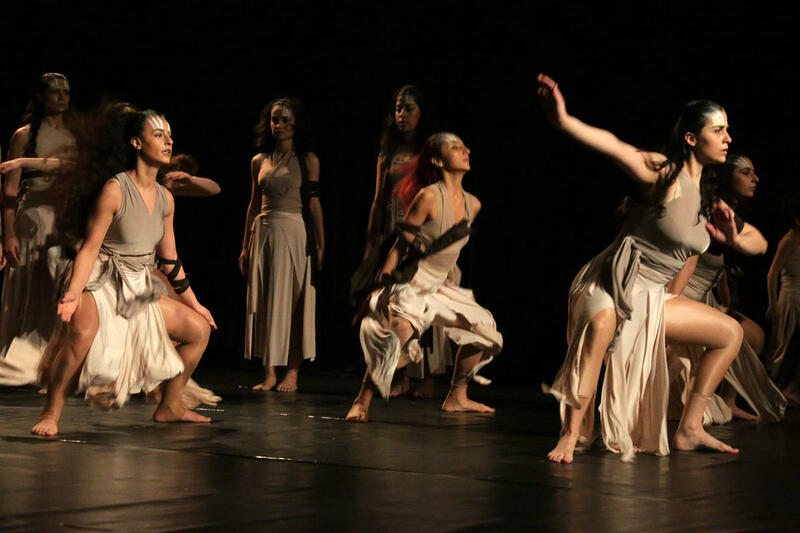 The performance – under the artistic direction of Assistant Professor of Music Seba Ali – is about sacrifices that women make and what society expects of them. Then there was the intense and frantic 50-Hour Film Competition in which eight teams had to write, edit and produce a film in a little more than two days. After a screening, a group of judges selected the winners, which were announced during the Festival Next closing ceremony. 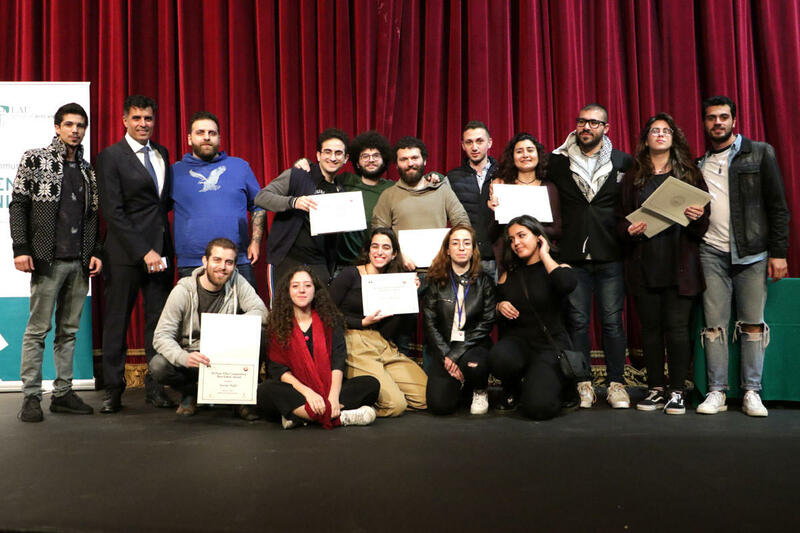 LAU alumna Christy Samaha (BA ’17) and USEK alumna Malak Abdo won the Best Picture Award for their film Beit El Menjel. Samaha and Abdo will have the chance to produce another film over the summer using the department’s equipment. Another major event that took place was the launching of the second issue of the department’s Connections magazine, which is produced by students under the guidance of Assistant Professor of Multimedia Journalism Claudia Kozman. Dr. Kozman said the students were able to steer Connections by themselves. “They told me they felt empowered,” she added. One such student is Connections associate editor communication major Sally Farhat, who was also Festival Next’s press attaché. “Working on Connections helped me beyond how to just edit. It taught me how to deal with the team, coordinate, prioritize and meet deadlines,” she said. Her experience as press attaché “helped widen my networks of contacts, especially since when I graduate I will most probably work in journalism, so I already have connections in that field,” she added. At the end of the festival, organizers, guests and participants agreed that it was a success. Festival coordinator and alumnus Awad Awad (BA ’16) said he was proud of the tremendous work members of the department – especially student volunteers – put in. Thanks to the dozens of students, alumni and faculty who worked on it, Festival Next has become a staple of the department’s motto to reinvent communication. And reinvent, it certainly did.